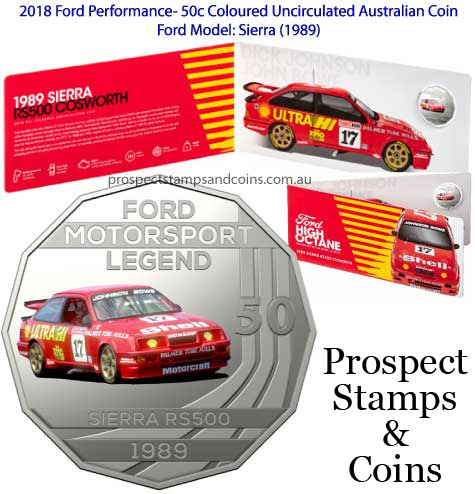 With the very popular Ford Australian Classic Collection in 2017, the Royal Australian Mint highlighted the humble contribution of cars to the manufacturing era, in both our everyday lives and the broader economic strength it provided. In 2018, the Mint has supercharged it and take in the highlights of adrenalin charged top speed racing with the Ford Motorsport Collection. An icon of Australian motor racing, few brands have contributed to our racing culture the way Ford has. With a breadth and depth that has seen rally championships, sports car victories and touring titles amassed by colourful and characterful drivers, Ford’s motorsport history has created a legion of ardently loyal fans. While the Model T literally shaped our roads, it was the impact of high-performance vehicles, such as the Cortina GT500 – the first Bathurst homologation road car special, and the original Falcon GT, the first V8 to win The Great Race – that helped cultivate Australia’s unique motoring culture.